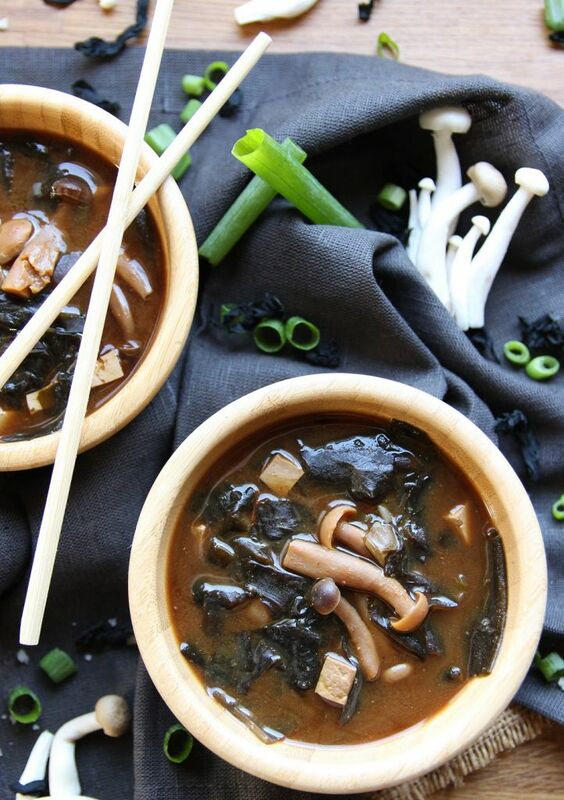 Easy Vegan Miso Soup In 20 Minutes! 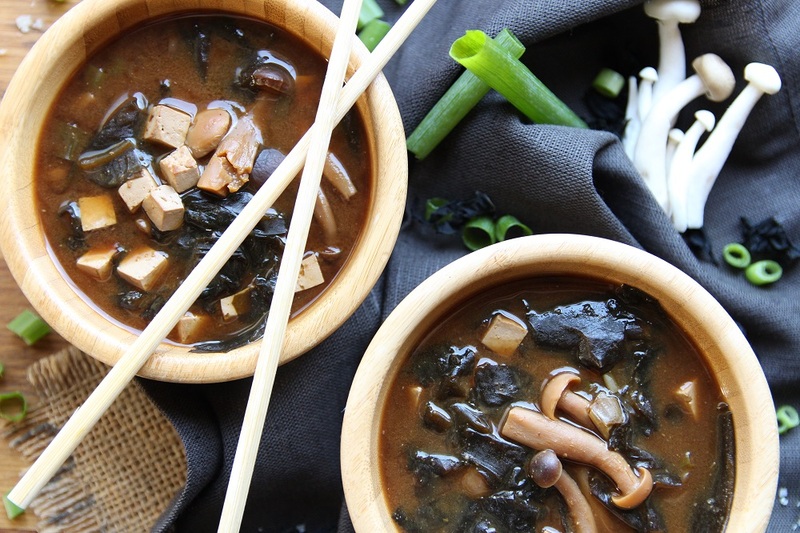 While the hubby and I were travelling in Japan, I got the chance to try my very first vegan miso soup, which wasn’t as easy as it sounds since most restaurants add dashi, (fish sauce). 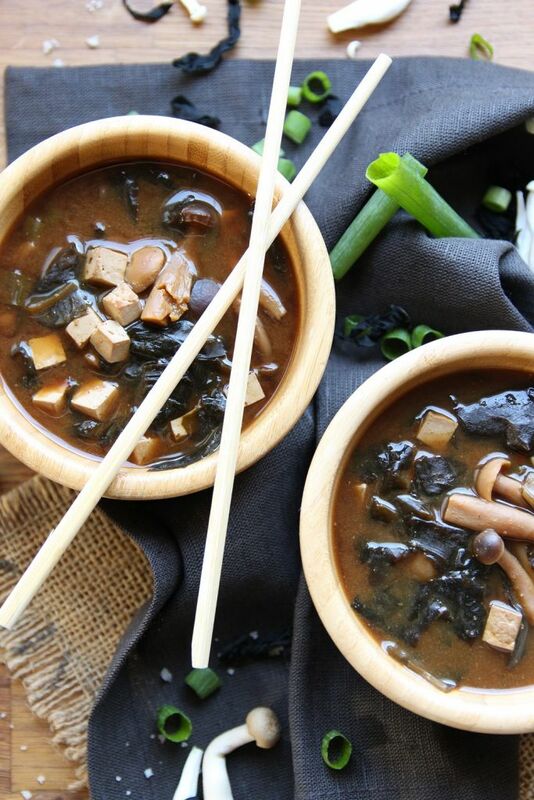 So I’m sure you can imagine how excited I was when I stumbled upon a restaurant that served vegan miso soup! I knew that as soon as we returned home I would recreate this unique flavored soup. And that’s exactly what I did. Determined to succeed, I started experimenting with the aka miso paste, and quickly came to learn that the aka miso paste had an incredibly rich, salty, fermented and unique flavor, meaning that I didn’t have to add any other spice to the soup. It was one of the most easiest and hassle free soups I’ve ever cooked. I just threw all the ingredients together in a pot, and cooked the soup for 15 – 20 minutes. My only regret is that I can’t believe it’s taken me so long to experiment with miso! To think of all the years I could have enjoyed it. Oh well, at least now I’m making up for lost time. Ever since we returned, the hubby and I have been enjoying it as a starter almost every day, it’s that good! Place the wakame seaweed in a bowl. Pour the boiling water on top and let it rest until it re-hydrates, around 5 minutes. Place the aka miso paste in a pot along with the 4 cups of water and stir until combined. Next, add the shimegi mushrooms, cutting off the attached stumps, along with the re-hydrated wakame seaweed. Chop the tofu into very small cubes, then add to the pot and let it cook for 15 – 20 minutes on medium/high heat. Finally, taste to see if you need to add a pinch of sea salt, before taking it off the heat. Finely chop the spring onions, add to the pot, stir and serve! Remember sharing is caring. So be sure to share this recipe with your friends and enjoy. 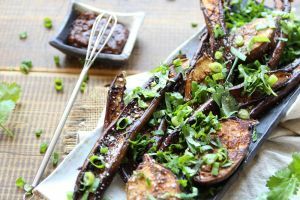 ← Vegetable Stir Fry With The Ultimate Coriander Sauce!